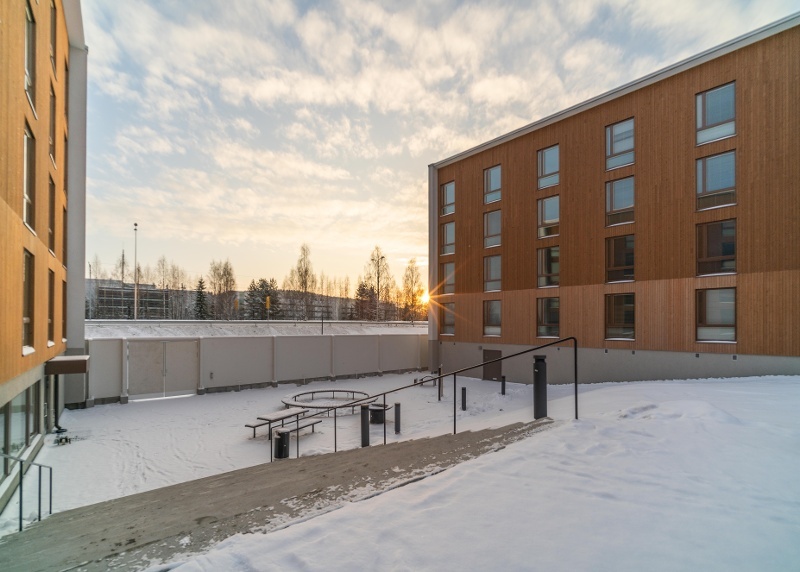 The Central Finland Student Housing Foundation (KOAS) has invested in environmentally friendly housing in Seminaarinmäki, Jyväskylä, Finland. The old campus near the city centre was extended with the first timber apartment buildings. The location, the design approach and wood as the building material support the project’s environmental objectives. KOAS Managing Director Matti Tanskanen says that Seminaarinmäki is a traditional area with wooden buildings, so the local plan also required wooden facades for apartment buildings. “We want to be pioneers and offer students pleasant and environmentally friendly homes. Modern wooden buildings that fit into the area meet these aims. In addition, the CLT modules enabled a quick construction process.” Both the residents and client have been happy with the outcome. The architecture was created by Verstas Arkkitehdit Oy. Founding partner and architect Väinö Nikkilä says that the client’s idea of adding timber buildings to the valuable Seminaarinmäki area was very interesting due to the environmentally friendly nature of wood. 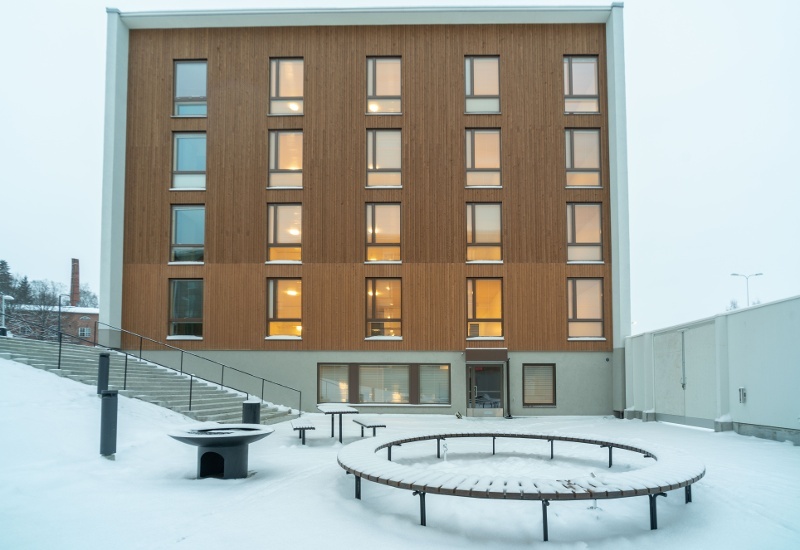 Verstas Arkkitehdit prepared a reference plan as the basis for the detailed plan of the area, specifying wood as the main facade material in the student apartment blocks. Therefore, it felt appropriate to use timber in the frame structures as well. 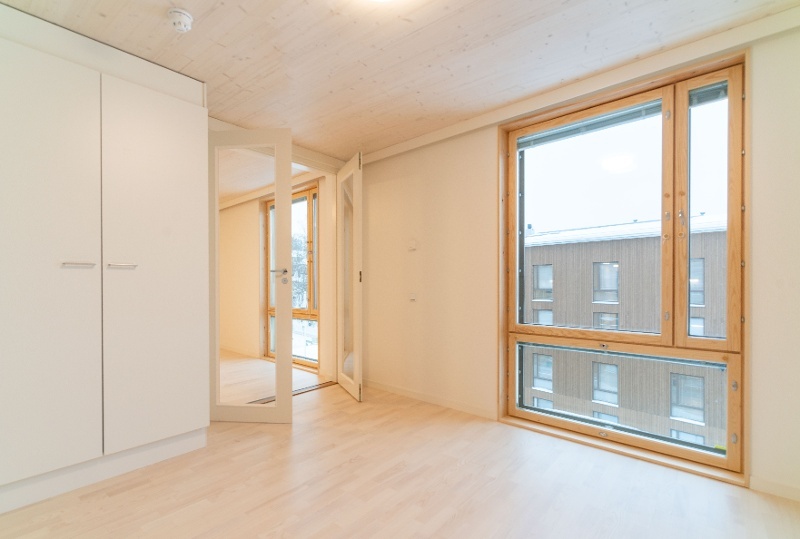 CLT modules were a natural solution because KOAS’s requests with regard to having mainly studio apartments and the size of the apartments fell quite well within the possibilities and limitations of the module technology and the road transport of the modules. 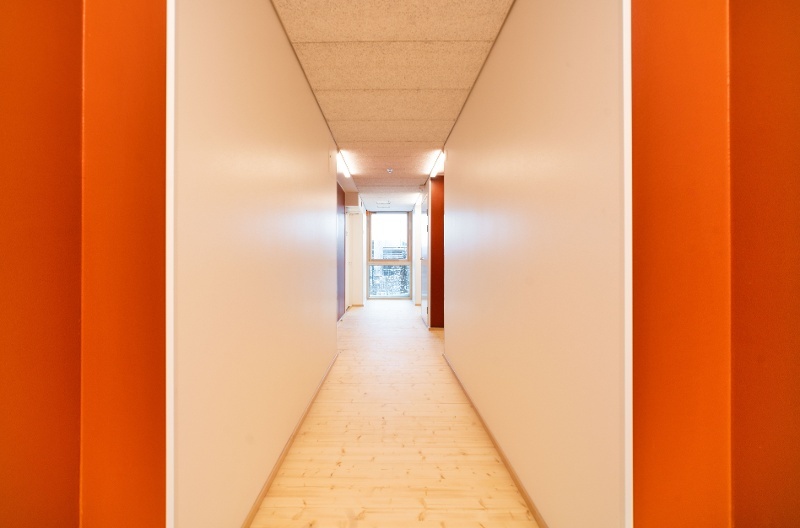 The apartments and staircases were created with approximately 4-metre-wide modules around the central corridor and the corridor floors were supported using the modules. 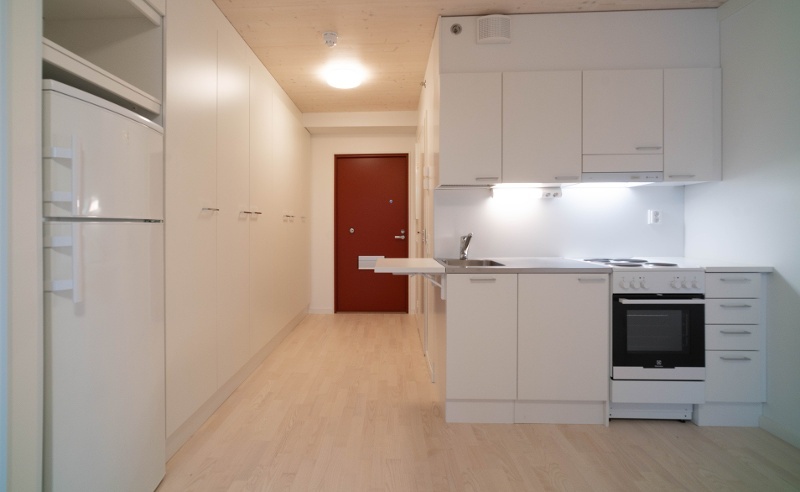 The timber apartment buildings in Seminaarinmäki offer a total of 103 homes, both studios and two-room apartments, with their sizes ranging from 26 square metres to 54 square metres. There are also almost 300 square metres of shared facilities. In addition to the sauna, storage spaces and laundry room, there is a lounge to promote a sense of community. 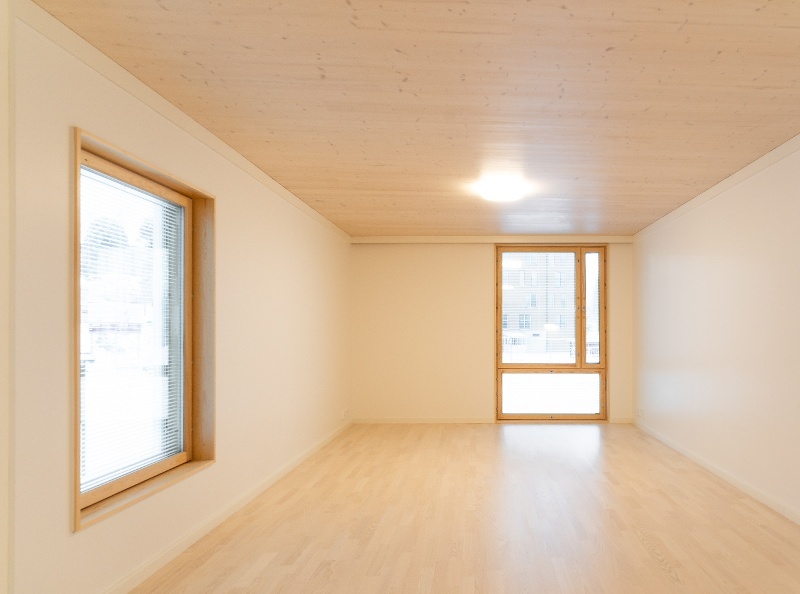 Natural wood is visible on the facades and in the staircases as well as on the apartment ceilings and floors. The buildings were completed at the end of 2018. 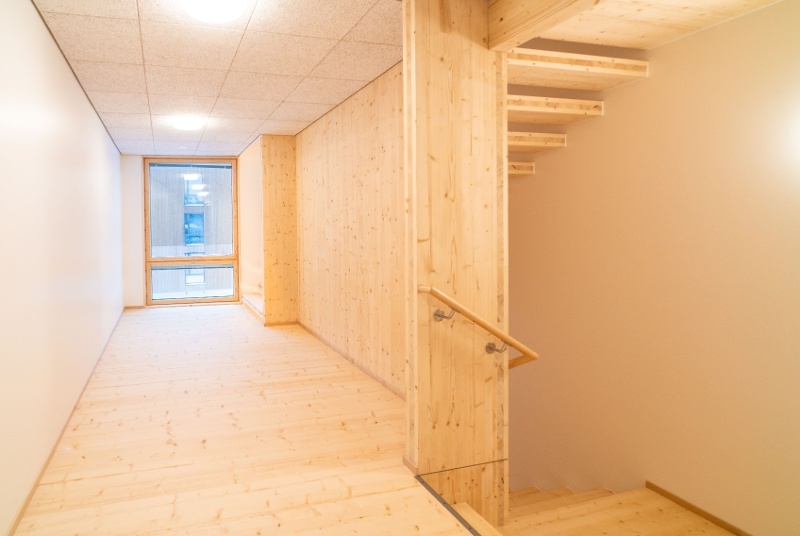 The four-storey apartment buildings were built using CLT modules provided by Elementti Sampo Oy. 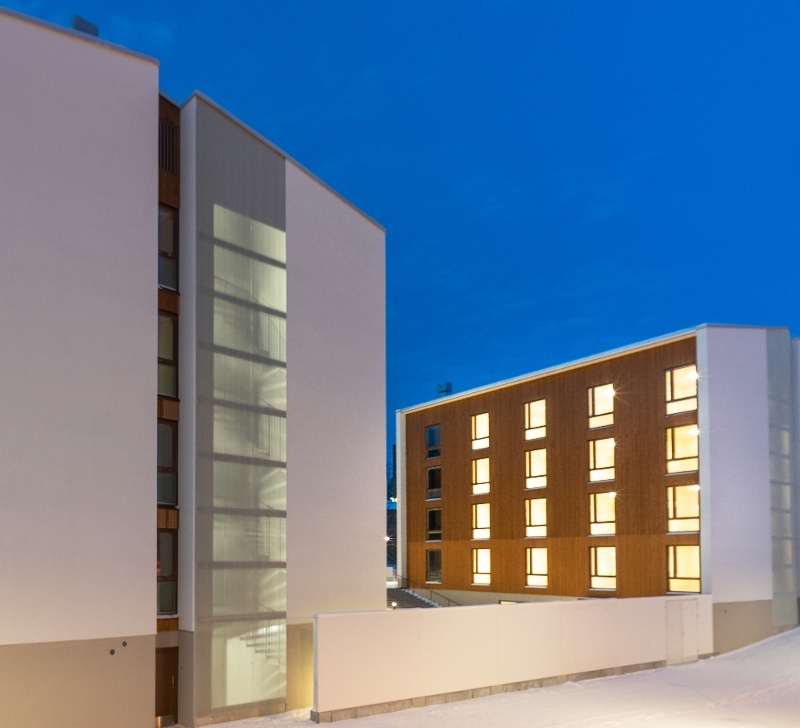 The main contractor was JVR-Rakenne Oy and the beautiful wooden facades were provided by Siparila Oy. 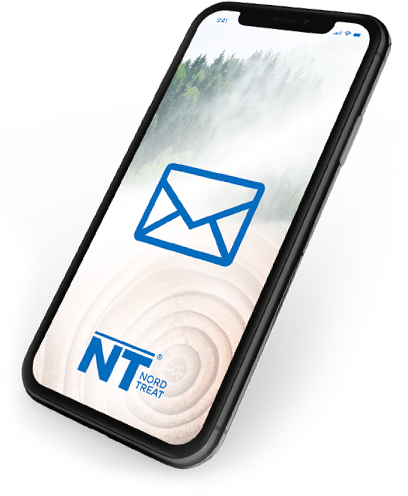 The wooden facade panels as well as the walls of the staircases, which were made of CLT modules, and the underside of the stairs were protected using the environmentally friendly NT DECO fire retardant.